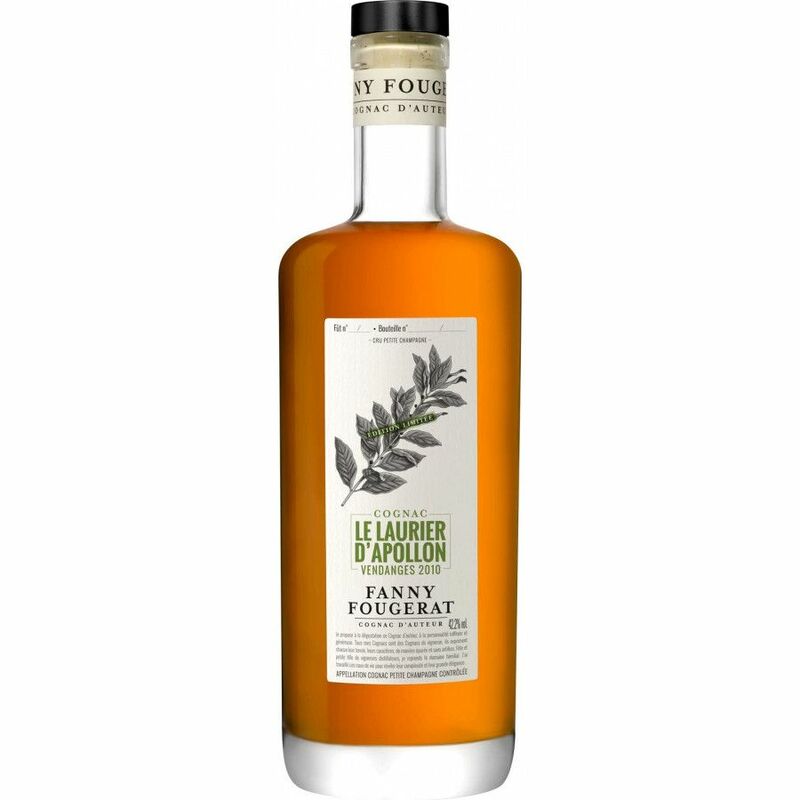 The Fanny Fougerat Le Laurier d'Apollon Limited Edition Cognac is a delightful offering from this innovative brand. This truly is a limited edition, utilizing only 5 barrels, which equates to 2.460 bottles. It's a blend of Petite Champagne eaux-de-vie, and showcases all the best aspects that the chalky soils of this terroir impart on the fruit that grows there. It's a youngish Cognac that's masculine and ambitious. It combines a wonderfully aromatic palette with a style that's both rich and powerful. And it really does offer exceptional value for money for such an artisan produced Cognac. As with all the Cognacs produced by Fanny Fougerat, the bottle is clean lined and very 21st century, with a label to match. Definitely one for the hipsters, and will be one you'll be proud to unveil at any special occasion. The house of Fanny Fougeret is named after its entrepreneurial creator, a young woman who comes from a long line of winemakers and distillers of Cognac. The brand only came into being a few years ago, with the first bottling of a Cognac to be sold under the Fanny Fougeret brand name being launched in November of 2013. However, the traditions and knowledge of this wine making family stretch back over four generations, during which time they sold their eaux-de-vie to the larger Cognac houses. Fanny Fougeret Cognac is wonderfully 21st century, yet combined with the passion and knowledge of a truly traditional Cognac family. The resulting artisan products are fresh, vibrant, and of exceptional quality.